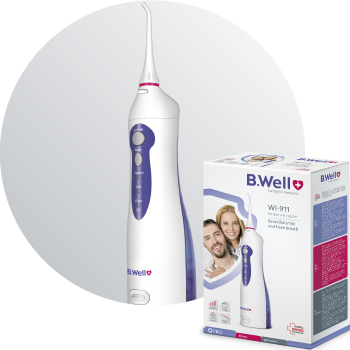 B.Well oral irrigator is an effective device for daily oral hygiene to be used by every member of the family to maintain dental health and beauty! Optimal power of 620 kPa for effective hygiene. Irrigator WI-911 is as good as the best stationary models. The irrigator of PRO line will provide a professional care for your teeth and gums at home. An oral irrigator by B.Well is an effective device for daily oral hygiene to be used by every member of the family to maintain dental health and beauty! 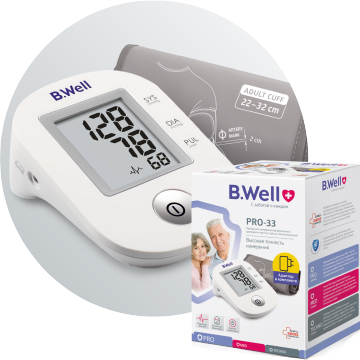 MED line comprises devices with advanced functions.  They enable you to apply up-to-date diagnostic methods, prophylaxis and treatment as well as conduct overall health monitoring for your family. Beautiful smile, healthy teeth! An oral irrigator by B.Well is an effective device for daily oral hygiene. Every day! At your home! Healthy teeth and gums Oral hygiene and regular gum massage with the irrigator help to prevent tooth decay and gum diseases (gingivitis, periodontitis and paradontosis). Complete care of artificial teeth structures If you have dental bridges, dental implants, dental crowns, dental braces and retainers, the irrigator is just an indispensable means of daily hygiene. Beautiful smile and fresh breath Regular hygiene using the irrigator allows you to remove bad breath and dental plaque which often leads to calculus formation. Clean teeth and fresh breath!